While students were sitting down for midterms in late March, a different kind of classroom was just starting its semester. Instead of professors, it is business and technology experts who carefully coach these select students to head out into the world poised to rake in millions of dollars. Instead of finals, this June they will be tested on their ability to pitch their products and lure investors. And instead of earning a degree, these students will end their education with substantial equity investments. They are representatives from the five companies chosen by MACH37 for its business accelerator program in Herndon. In its second session, but more than 40 applicants were whittled down to five companies, all cybersecurity startups from Virginia, Florida and California. They represent various specialties, from artificial intelligence to credit card fraud protection. 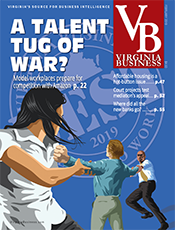 “Business acceleration” is a fairly new concept that is catching on quickly in the fast-paced world of technology startups and is seen as a way to boost Virginia’s innovation economy. 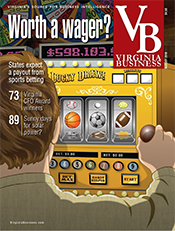 Especially in Northern Virginia’s rapidly growing technology industry, the term is quickly becoming familiar. 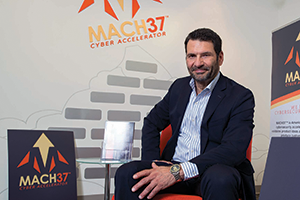 MACH37’s business accelerator in­­cludes intensive mentoring for 90 days at the Center for Innovative Technology in Herndon, where participants are coached by cybersecurity experts and entrepreneurs in residence, most with 20 to 30 years of experience. “That’s the secret sauce,” says Peter Jobse, CEO at CIT. In September 2013, Jobse worked with the state government and industry leaders to create MACH37, the nation’s first cybersecurity business accelerator. The program culminates in a “deal day,” where the companies pitch themselves and their products to investors. Upon entering the program, each company has already sold 8 percent of its equity to MACH37. There are currently 1,500 to 2,000 business accelerators in the U.S. The model started with Silicon Valley’s Y Combinators in 2005. That accelerator boasts big name “graduates” such as Reddit, Dropbox and Loopt, which sold in March for $43.4 million dollars. Another famous trailblazer is Techstars, which has offices all over the U.S. and one in London. Techstars recently announced the creation of the Disney Accelerator. Jobse says the missing link is the chance for these entrepreneurs to have their ideas heard and raise the necessary capital to succeed. That’s where business accelerators come in. They give entrepreneurs a boost of funds and access to investors so they can quickly seize demand in a growing market, in this case cybersecurity. “These companies will happen on their own in the wild. The goal is to let that happen at an accelerated rate,” Jobse says. 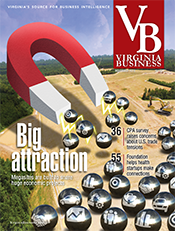 While MACH37’s business accelerator model is more conventional, other accelerators take a different approach. 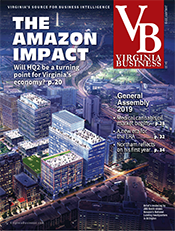 Founded in 2005, Amplifier Ventures invests in emerging technology businesses in the D.C. region from its offices in McLean. Its business accelerator program looks quite different from MACH37’s 90-day intensive workshop. In Amplifier Ventures’ accelerator program, there is no defined end point, no “deal day.” Amplifier Ventures has stayed with some companies for almost a decade. Aberman says accelerators are only appropriate for specific kinds of companies. “For many businesses it isn’t the right way to start companies. 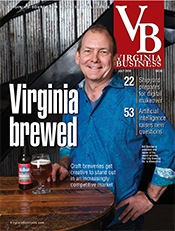 A lot of businesses cannot be started in three months,” he says. For example, ideas for new technology startups can’t require never-before-seen complex programming. Companies have to present a finished product to pitch and sell at the end of the program, creating somewhat of a ceiling for innovation. According to Aberman, the movement toward business accelerators rose from a long-established trend: business incubators. Traditional business incubators help startups get on their feet by providing shared office space where they can save money on rent, utilities and office supplies. Mentoring and equity investments also may be included. 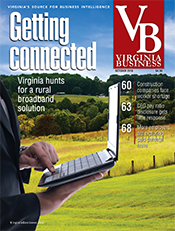 The early 2000s saw a flurry of about three dozen business incubators set up shop in Virginia. Aberman chairs Tandem NSI, a public/private partnership between Arlington County and Amplifier Ventures, financed by the state, that seeks to create conditions that get national security and innovators working together. The group works to further research in areas such as aerospace and space, material science, man/machine interface and much more. 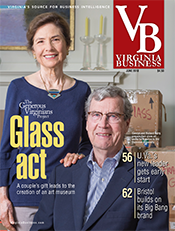 The “state” Aberman refers to might exclude “RoVa” — Jim Flowers’ joke acronym for the “rest of Virginia” outside of Northern Virginia. 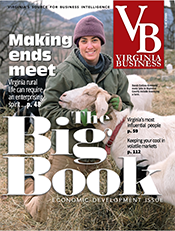 Tech industry-wise, “outside of NoVa we look like Alabama,” says Flowers, the executive director of VT KnowledgeWorks in Blacksburg. 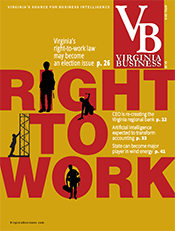 A subsidiary of the Virginia Tech Corporate Research Center, VT KnowledgeWorks fosters global entrepreneurship out of its Virginia headquarters. Most small businesses take more than 10 years to “turn the corner,” says Flowers. People hear about the instant successes — not the small companies that are “quietly chugging along and employing a few people.” He says those particular technology startups offer valuable economic stability. Plus, if one of these small technology companies crumbles, finding work for those few employees is literally “sometimes a walk across the hall” within small business technology hubs. 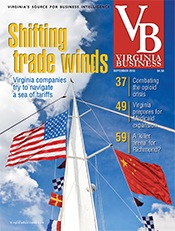 Eric Martin is the founding partner of 80 Amps, a Richmond firm established a year ago by The Martin Agency to create services and businesses and drive them toward commercial viability. 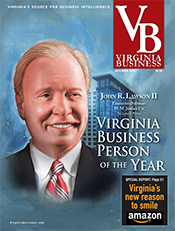 His group helps companies, including government contractors in Northern Virginia, commercialize technology. Martin says there is not a lot of great data that directly link accelerators and incubators to economic development, but it’s known that small businesses in general create the majority of jobs and a substantial amount of revenue in the U.S. He says startups are a lot less risky than people think.